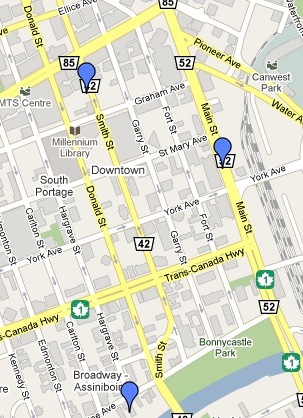 West is just west of Hargrave but also Spence Street just past Ellice Avenue. South is the Assiniboine River along Assiniboine Avenue. East is the Red River and includes The Forks. And as much as I can see that the problem has to do with outlying areas outsize the zones contributing to a skewed total number of crime incidents that the BIZ folk must pare down to reflect their zone of operations, I’m still not buying it. Here’s what the BIZ had to say, and it’s totally fair and understandable. 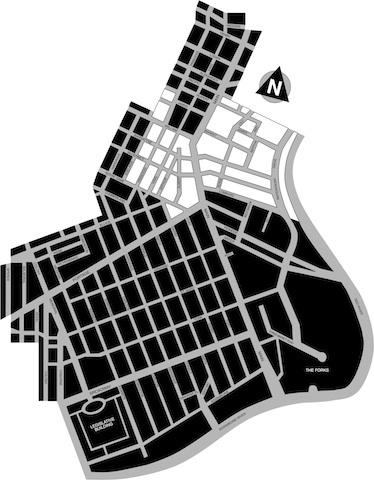 “Downtown is in District 1, however, District 1 comprises a much larger area than the actual downtown boundaries. The above chart says that between July 10, 09 to July 10, 2010, there was one homicide within the BIZ zone. And technically, that’s true. So far this year, however, there have been none. I should add that technically, homicides are a poor indicator of crime and safety in an area given that the crimes usually don’t involve the public at large but are rather crimes of passion committed in the heat of the moment. 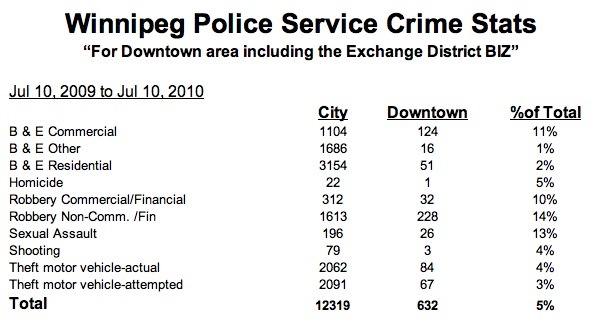 But, as the BIZ spokesperson said, it’s the perception that downtown is crime-ridden that’s an issue. Well if that’s the case, a recent CBC story indicates that people’s negative perceptions of crime in the area are hardening, not becoming more positive. “It seems that confidence in daytime safety downtown has eroded across all neighbourhoods,” wrote the unidentified police official who summarized the poll findings in a report. The number dropped to about 40 per cent in the most recent poll, conducted by Dataprobe Research of Winnipeg. Most troubling is that even people living downtown feel less safe during the day, the findings suggest. 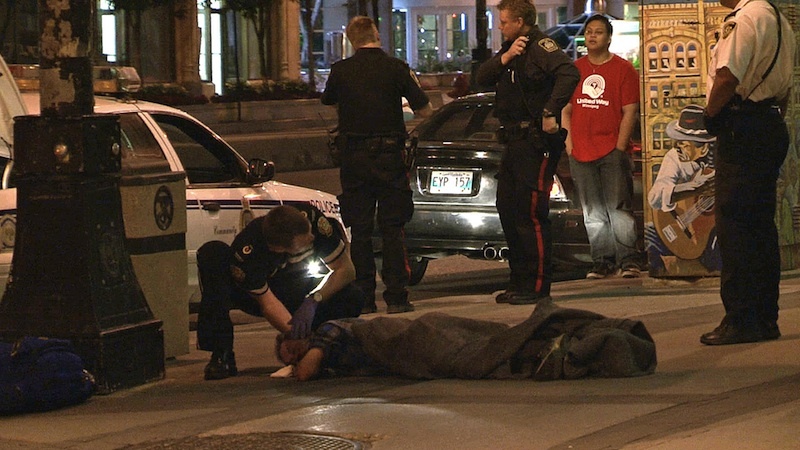 In 2008, 85 per cent of the people surveyed agreed the downtown was safe. In the latest poll, the percentage dropped to 42 per cent, although only 4.75 per cent of those surveyed identified themselves as downtown residents. This was from February, 2010. I remember writing it based on the work done by Sean Kavanagh. You begin to question the stats. I’m not saying they’re wrong or fudged. They just feel that way to a guy who’s spent the last few years of his life looking at crime and justice in the city fairly closely. But then again, I’m in the reality business. So I like to think.